I'm sure I must be missing something obvious but I can't find how to change the date format on the dashboard date/time tile. 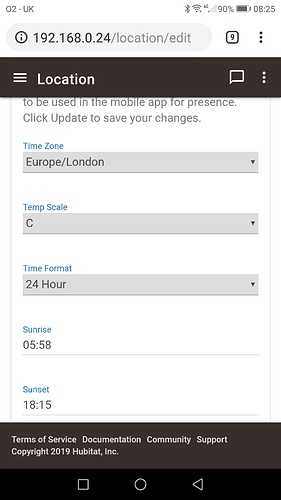 A search found a reference to EU date format but no details as to where the setting is. I just get MM/DD/YYYY when I want DD/MM/YYYY. I also asked if this could be done months ago. Maybe you will be luckier. 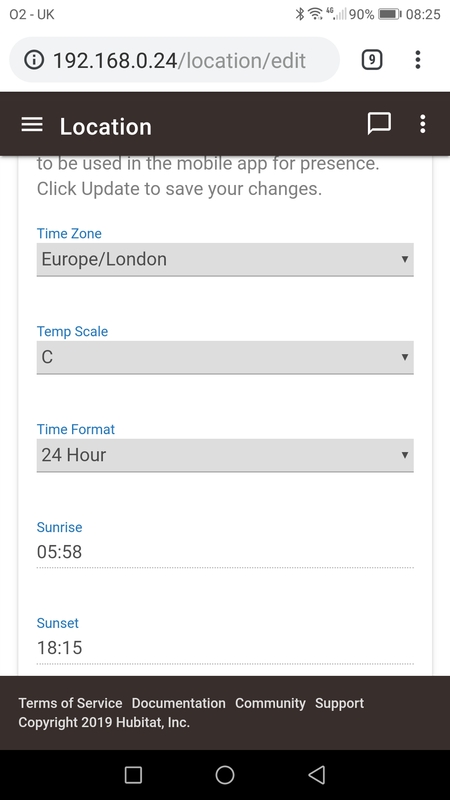 In the child app for the dashboard, you can change the setting in advanced to 24 hr clock and that will also change the date format. No good I'm afraid, it has changed to 24h but date format still MM/DD/YYYY. In any case, I don't really want time in 24h format and I don't see why that should be linked to the date format. Surely they are two separate choices? Did this get fixed, I still see the only optons for Date/Time to be US Date with 24 hour clock or EU Date with 12 hour, would like to see if this has been fixed, only thing left on my dashboard I'd like to fix. Yes. You can have UK formatted 24hr clock. Hi, still stuck with US can someone please do a simple step through, tried googling and wiki and forum, can't find anything that explains? Settings - > Location and Modes. Thanks Bobbles, had done that and still wasn't right then this morning a new update for the HE changed the whole way the dashboard app is presented and bingo a new option was available!